During the treatment of sick children, which special issue comes up in the discussion besides disease significantly that is child nutrition. Many people want to know about child nutrition and how to feed their children. The needs of children are conditioned by the growth stage, the development of bones, teeth, muscles, etc. The needs of energy-protein are higher than those of adults. Now we are discuss about child nutrition. Energy: it is related to the needs to cover the basal metabolism, growth rate and physical activity. The energy supply must come from 50-60% carbohydrates, 25-35% lipids and about 10-15% of proteins. Protein: protein risks suffering only those children undergoing deficiencies protein restriction, those who suffer from some limitation of certain foods in the diet. Age 1-3 years: 16 g/day. Age 4-6 years: 24 g/day. Age 7-10 years: 28 g/day. Calcium: Calcium is necessary for appropriate bone growth. Milk is the food that is the main source of calcium. 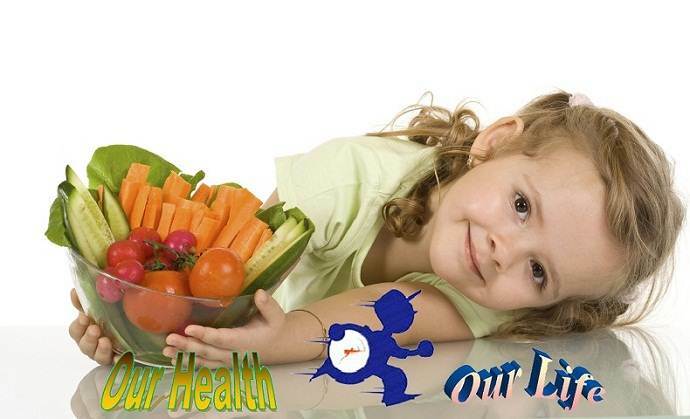 Iron: children aged between 1 and 3 years are most susceptible to iron deficiency. Therefore, food should be rich in this mineral. The best sources are vegetable and sea fish. Zinc: Zinc is essential for growth. A contribution of 10 mg / day is required. The best sources are meat and fish. Vitamin D: Vitamin D is necessary for calcium absorption. You must make five meals a day. Three high energy intakes: breakfast, lunch and dinner. The other two with an average caloric intake: mid-morning and afternoon snack. It is necessary to provide at least half a liter of milk daily. Avoid animal fats, avoiding sweets and bakery products. Must include on daily basis foods rich in fiber. To the extent possible excluded dyes and preservatives. No substitute fresh fruit juices. They are complementary foods. Do not take usually fried and precooked. The best if homemade pastries, either take it daily. For school children the following number of servings recommended. diet routine for child nutrition. 1. Children 2 to 6 years. Milk half a glass, juice half a glass. A slice of white or brown bread. 3-5 tablespoons flaked cereal or crackers. If you do not want to take it all at home, take it on the playground at school. Choose two of the proposed for each of the meals. Meat or fish a piece (steak or equivalent). Cheese, an egg (two or three per week). Lentils, chickpeas or beans 1/4 Cup. Pasta or rice 1/4 cup. Fruit juice half a glass. Cereal 3 to 4 tablespoon. 2. Children 6 to 12 years. A glass of milk, juice 3/4 glass. A piece of white or brown bread. 9-10 tablespoons flaked cereal or crackers. Choose two of the proposed. Meat or fish and two pieces (small steak or equivalent). Cheese, 1 egg (2 or 3 a week). Lentils, chickpeas or beans a cup. Pasta or rice a cup. Cereal 9 to 10 tablespoons, cookies. To eat better, you spend what you need is accumulated and well oxygenated. Therefore, it is necessary to play outside, playing sports regularly and eat well to offset the losses from all activities, including grow and develop. Tips to avoid problems during the meal. Offer a variety of healthy and tasty foods. Serve meals on a regular schedule. Make food a pleasant time. Teach your children good table manners. Give them a good example. 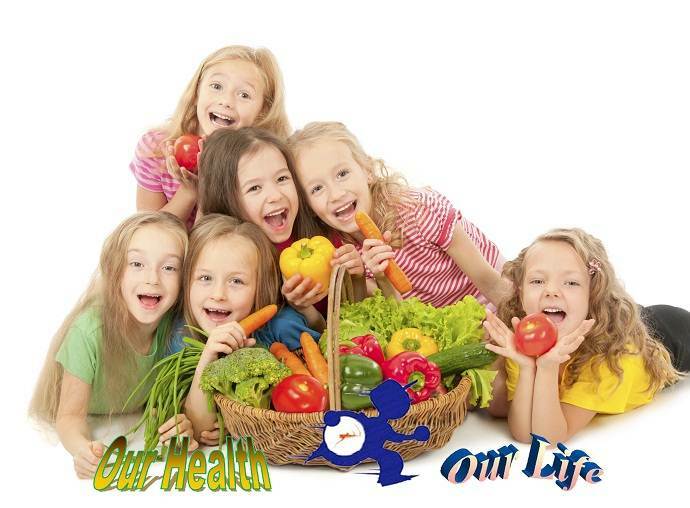 When a child is allowed to choose foods, it tends to select a caloric and nutritionally well balanced diet. Eating at school for child nutrition. The menu of the school canteen should provide about 35% of the total daily energy needs. It must consist of three dishes, a main course consisting of pasta or rice, legume vegetables, vegetables with potatoes or beans with potatoes. A second dish of meat, fish or eggs with salad or vegetables and finally a dairy dessert and fruit. It is useful to know the foods that make up the menu of the school to fill the gap that could have at dinner. Breakfast should be very balanced, contributing around 25% of the total energy of the day. At snack you can include fruit or milk. Dinner should also consist of three courses, like the food, but scarce rations. The diet should be varied. It should be delivered to students in a guide to the menus of the week or month. 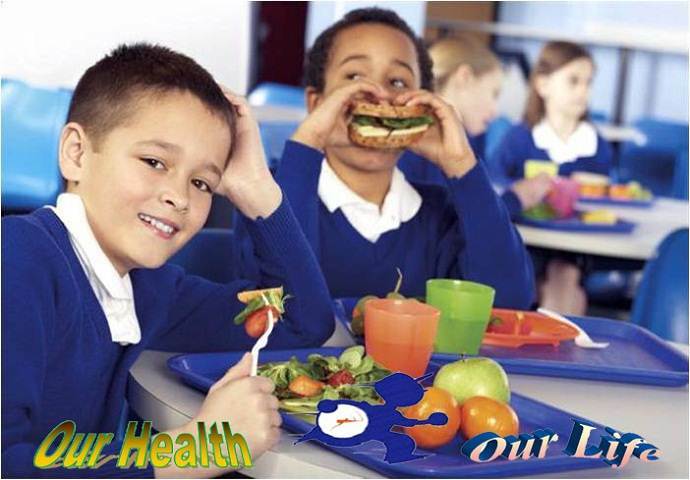 Eating at school can be a good time for children to learn new eating habits and education standards.